Convenient and useful solutions that solve everyday problems are a major focus at RAM. 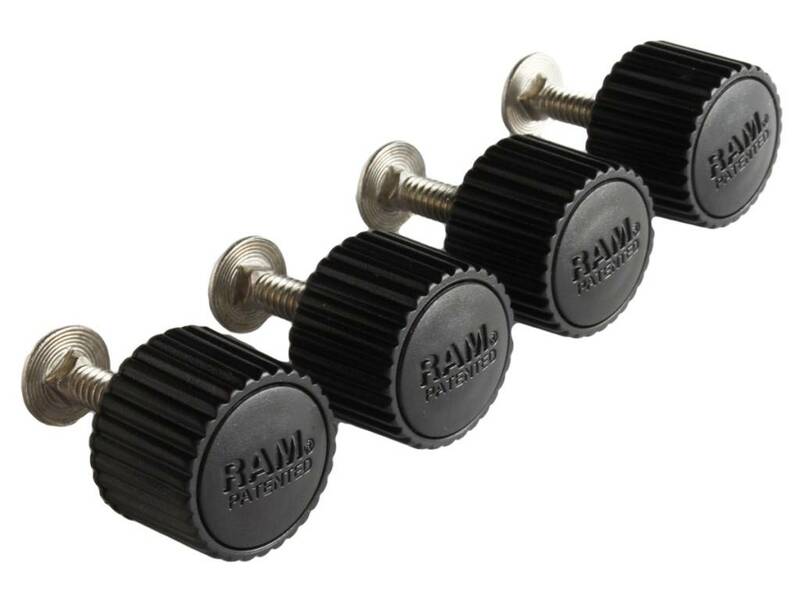 If you find that tools are not always the most convenient way to adjust your laptop retaining arms, you're going to love this easy to install knob kit for the RAM Tough-Tray™. 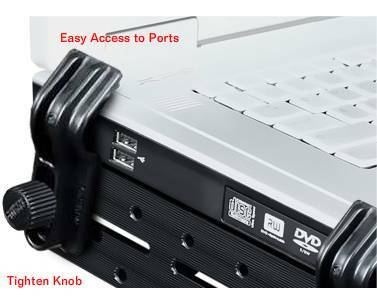 This kit is ideal for trays that hold laptops of varying size or if you simply need to quickly move a retaining arm out of the way to access a port or drive. 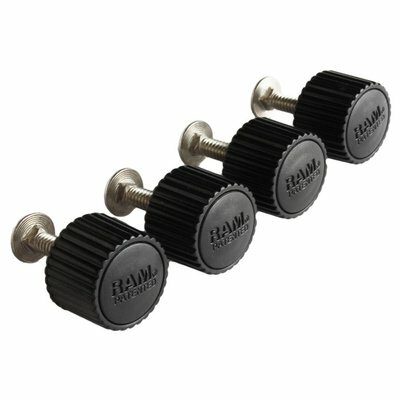 Quick and simple to adjust without the use of tools, this useful product is just another high quality RAM accessory offered for the RAM Tough-Tray™. The Quick Adjust Retaining Arm Kit includes the hardware necessary to modify the Tough-Tray™, standard and flat retaining arms. Standard and flat retaining arms not included with kit.